Storing files over the internet for easy access is something we are quite familiar with. Work places are facilitated by sending & receiving files on the internet for decades. Of course, I am talking about email. However, cloud brought a revolution to ways we used to share & store the digital stuff on virtual environment. 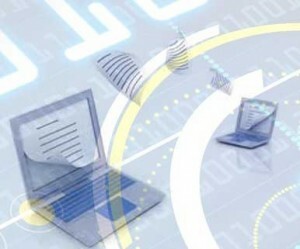 Online data storage has proven to simplify the process in number of ways utilizing innovative features. Technological world is changing so drastically that market becomes competitive even before the common user gets familiar with it. Same is the case with online data storage, some industry experts foresaw the future belongs to cloud services and start working day & night to improve service quality, increased facilities, enrich features and what not. Why switch to Online Data Storage? To be realistic, disasters happen – it is an unpredictable world where both human caused & natural adversity can occur, and mostly without prior intimation. Digital data, our confidential information and valuable databases are considered as the foundation of business. We can attain profitability, improve growth rate and sustain recession with this promising weapon of data – otherwise we are empty handed without it, leading to wrap up operations. Now, what can be the better method to protect this digital data which is of core importance to every organization or individual? File servers placed in hi-tech data centers, external & extended hardware for storage or cloud based online data storage servers with unlimited online storage space option & 24/7 accessibility guarantee. I vote for online storage, not because I am part of a cloud reviewing website, and it is my job to do so but because we evaluate all the options before establishing this site – and online storage received maximum positive response from industry experts. It has not just because of few obvious advantages but the number of overwhelming benefits one cannot ignore. What can you achieve from Online Storage? If one says that benefits of online cloud storage end at file protection, I beg to differ – Convenient accessibility and automated synchronization are two of the many reasons why large appeal is developed for said services. Almost every service provider offers similar rudimentary functionality of storage online, they vary in terms of features and support options. Prior to decide on a particular vendor, understanding the crucial characteristics of online storage is critical that whether or not they are offering the usability you are seeking. Let’s ponder upon some benefits you can achieve from it. Best online data storage companies offer unlimited storage for flat monthly price. This allows you to store up as much content as you desire, without any upper cap to your limit. You can archive your text files, photo albums, video collection and etc. Best online storage provider facilitates you with user friendly & simple interface to operate your routine task. They also provide with browser based web interface for easier access without installing any software on the system. Easy drag & drop option is now available with services. Acknowledged service providers offer plenty of helpful features like offline synchronization and file versioning. Restoration of deleted files within limited day’s time is another striking feature offered by best online storage company. Backup options are also provided to enhanced file protection through which every revision will be automatically updated on your virtual space. Best online storage allows storing all type of digital files, regardless of format & filing type. Widespread accessibility is also provisioned, this means you can upload and access your data from any platform over any device. You are no more required to switch from Mac to Windows or any other platform as best online storage providers support all familiar platforms including Windows, Mac, iOS, etc. You are allowed to access your stored files through any device – computers, mobile, smart phones, or any other handheld device. Supplemented with useful assistance – it has another great feature accompanied with various others that help in resolving customer issue. E-books, guides, email & phone support is provisioned 24/7×365. Derived as the appropriate resolution for file security and backup recovery – combined with excellent features to increase organizational profitability, cloud-based online data storage is competent of making your company able to leap from good to great.